Next year, I will be a first grade teacher, so this blog doesn't really fit me anymore. Sad! I'm excited for something new and fresh though! 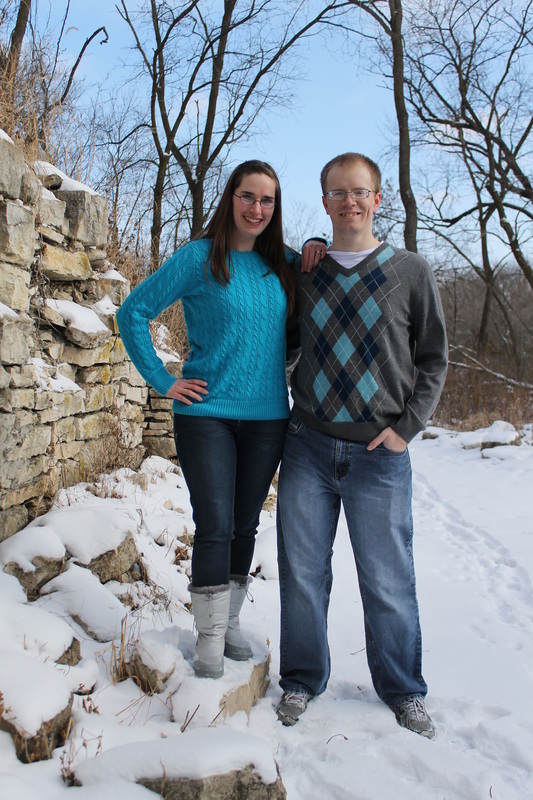 Join me over at my new blog, The Passionate Classroom! So, I need to take a few moments to share my love for A Snicker of Magic by Natalie Lloyd. This was the first book I picked up from the library this summer, and it was the best choice I could have made! If you've never heard of the book, let me start with a quick summary. Felicity, her mother, and her younger sister are wanderers. They don't stay in one place for too long before they pick up and move on. At the beginning of the story, Felicity and her family move in with her Aunt Cleo in the town of Midnight Gulch. Before too long, Felicity learns about the magic that once lived in the town. Only snickers (small bits and pieces) of magic are left by the time Felicity arrives. She becomes addicted to the stories about the old magic and sets out to bring the magic back. Felicity has her own personal snicker of magic: she see words everywhere and collects them in her little blue book. When her teacher announces she will be hosting a duel (talent show) for anyone who wants to participate, Felicity decides to participate, despite her intense stage fright, in an attempt to keep her family in Midnight Gulch. She quickly makes friends with Jonah, who is secretly The Beedle (the town do-gooder), and he quickly becomes a huge support for her. There are so, so, so many themes and ideas in this book that warmed my heart and made me smile. For one, the friendship between Jonah and Felicity is one I haven't come across in a book since Harry, Ron, and Hermione. Every person deserves a friend like Jonah. He built Felicity up when she was feeling down, he knew exactly what she needed to be successful, and he was selfless and encouraging. Be still my heart! I fell in love with his character. Another touching element to this book was the addition of The Beedle. His sole job was to help people in any way they needed. I'm talking major random acts of kindness! He scoured newspapers to find people in need and secretly provided them with whatever it was they needed. How wonderful would our world be if each town had it's own Beedle - someone to bring a smile to your face when the last thing you felt like doing was smiling? We need more of that. Finally, I loved the theme of facing fears head-on that echoed throughout the book. Felicity was terrified of speaking to groups of people. As a collector of words, she had many beautiful things to say, but she just clammed up when she knew people were listening. Throughout the book, she learned how important it is to face those fears and to challenge herself to do the impossible. I won't give away the ending, but my heart exploded with happiness as I read it. In conclusion, I just have to say if you haven't read the book, you need to! It's seriously incredible, and I know you won't regret it! Every day we have to read books and take AR tests. We take the STAR test. We have spelling tests every Friday. Have to read books? Take AR tests every day? Those are the moments that stick out to them when they think about school? We learned to read and write. We did Genius Hour with our second grade buddies. We read word lists everyday? Maybe they would. I'd be heartbroken if that's what they remember about kindergarten. I've been following the twitter chat about the book Teach Like A Pirate by Dave Burgess (#tlap) for a few months now. I haven't read the book but I love reading what people have to say about it, and it's on my To Read list for this summer. One of the greatest thoughts I have gotten from the chat is the question, "Are there any lessons you teach you could sell tickets to?" It bothers me that school is boring. In our test-driven society, it has become so much more about teachers teaching and not about students learning. In some ways, I feel we have lost sight of what is best for kids and what is really going to help them be successful in life. I want engagement in my classroom. I want students sitting on the edge of their seats because they can't wait to start. I don't want students reading books only to take a test so they can reach their point-goal for the quarter. I don't want their memories of my class to be about tests at all. Next year, I'll be a first grade teacher. Hopefully, I have a principal who will support my goals. I want to sell tickets to my classroom. I want my students to want to be there because of what's going on within my four walls (or the gym or the cafeteria or the computer lab or wherever our learning needs to take place) not just because they have to be there. I hope that next year when the kindergartners come visit and they ask what they will do in first grade, my kiddos jump out of their seats and fight over who gets to say what about first grade! So, I have this impossible-to-ignore urge to write tonight. It's the end of the school year, and I honestly don't know how I feel about that. I don't know what the next school year will hold for me (I will be moving onto first grade, which is all new territory for me), so in some ways I'm trying desperately to hold onto kindergarten - to what I know and understand. Don't get me wrong, I am so looking forward to whatever my teacher journey has in store for me. It's just scary. New things are scary. I had a delightful conversation with a little guy who owed me just a little recess time this afternoon. He sat at his table working on his kindergarten memory book. I walked past him to ask the teacher next door a quick question and noticed he was coloring his person bright pink. I said, "Are you pink?" He responded with, "This isn't me. It's you!" Today, I was happy to be pink. We reviewed the I-Charts we have created for our Daily 5 time today. I had a student model the correct way to do Read to Self, and then I chose one of my barometer students to model the incorrect way. After he got his book box, he sat on the bench in front of his friends and started to model incorrectly how to do Read to Self. He started by throwing a few books on the floor and trying to read one upside down. Of course, one of our expectations is to use a whisper voice, and this little guy is well aware of this expectation. Before I knew what was happening, he threw his book on the floor and screamed at the top of his lungs. After just a moment of stunned silence, my class burst into laughter - the type of laughter that causes a person to roll on the floor. It took me just a few moments to bring them back to me and we had a great conversation about how this behavior would stop him from becoming a better reader. Then he had a chance to model the correct behavior again (which he did a great job of doing). This moment, while chaotic, silly, and completely surprising, was a great learning experience for my kiddos; I am grateful this happened today. One of my students brought me flowers this morning - lilacs to be exact. He presented them to my foster grandma (I had stepped out to make a few copies quickly), and said, "My mom told me to bring these to Mrs. Hansen." I can just imagine him saying this. He pretends to be a tough guy, but he is a sweetheart in hiding. I am certain the idea to bring me flowers was his own and not his mom's. It would just be silly to admit that. I checked sight words today in preparation for 4th quarter report cards. One of my kiddos who has struggled and struggled with these words got all but 3 correct! That's a very high 3 (meets expectations) on our 1-4 scale! I grinned from ear to ear, and we celebrated with an enormous high-five! She has grown so much and has become a confident reader! Finally, while we waited for dismissal, I found great joy in pulling up Let It Go on my computer and allowing my kids to sing along at the top of their lungs. They know every. single. word. I had a couple of kiddos hop up on my bench during center time to perform it for the class today. It's the sweetest music in the world. I want them to leave my classroom smiling, and this helps me succeed in that goal. As I go to bed tonight, my prayers will be simple. I'll pray for each of my kiddos and their journey onto first grade - that they continue to be the joyful, loving, sweet kids with a strong desire to learn that I know they can be. I'll pray for confidence and strength to take on whatever challenges next year brings, and I'll pray for rest and relaxation for everyone (teachers, students, administrators, parents, etc.) this summer. Tonight, I am simply grateful for this year. What I Learned at the Zoo! I went on my first big field trip as a kindergarten teacher yesterday, and I can actually say I had a great time! We went about an hour and fifteen minutes north to a small zoo in Minnesota. Going into the day, I was anxious. My students don't always listen to me the way I hope they will. How was I going to take them out into public and keep everybody safe and make it a learning-filled experience? Luckily, I have learned a few things this year that I was able to use to make the trip a success. First of all, I learned early on that kindergartners typically do not want to hold hands with a walking partner on a field trip. Unfortunately for them, that is one of the easiest ways for a teacher to keep her class together and to check for everyone at one time. Before we left for the zoo, I taught my students the buddy system. Here's how it worked: each student had an assigned buddy whom they were responsible for. When I said "buddy," each kiddo had to find his/her buddy as quickly as possible, hold onto hands, and say "buddy" back to me. This way, they didn't have to hold on to their partners hands all the time, but I could quickly pull them together to do a count if I needed to. We practiced a few times in the classroom and we were set to go. I didn't know for sure if this would work, but I was willing to give it a try. Fortunately, it was incredibly effective for us! I used it many times while we were at the zoo, and it helped tie us together. Secondly, I have learned that kindergartners will ask the right questions if you give them a chance. Because I have never taken a group of children to the zoo, I didn't exactly know what my job, aside from being a shepherdess, was supposed to be. The first animals we saw were the birds (bald eagles, red-tailed hawks, turkey vultures). We awkwardly stood there for a few moments while I tried to figure out what to say to them about these birds, and then one of the students looked at me and said, "What do they eat?" Thank you, student! Kiddos are naturally inquisitive. If I trust my students to engage in the topic at hand, they will come up with awesome learning opportunities. That's the whole reason behind why I chose to do Genius Hour with my students. The rest of the time, we would walk to an animal's cage or habitat, look for awhile, and ask questions. As they asked their questions, I did my best to answer. I didn't know all of the answers, but I told them we could look them up when we got back to school. (and, of course) Did we miss recess? Luckily, I have spent almost a full year in kindergarten now. My patience level has gone from pretty tolerable to incredibly tolerable. I smiled as I answered their questions with a polite, "We will have lunch after we finish seeing all of the animals," or "We just started out. Here's a book to read while you wait" and "Yes, we did miss recess, but look at how much fun we've had outside today!" As we waited for dismissal at the end of the day, we stood around and counted all of the animals we had seen. The students excitedly shared about their favorites and grinned from ear to ear as they relived the day. That, in and of itself, is a success! Do you ever feel like you have absolutely no idea how to do life? I woke up this morning in a state of panic. On a personal note, I've been dealing with some heavy stuff recently - stuff that has been hanging around for a little over two years. While most of the time I handle this all pretty well (at least I feel like I handle it well), this time around my heart is broken. I have been trying my hardest to leave that all at home and focus on the 19 children in my classroom who need me to finish off their year of kindergarten strongly, but that is much more difficult than I anticipated. In order to get myself through each day, I've been trying to jazz things up. This is not only for me; my students need me to keep things authentic and engaging for them too. My thought was the more energy and excitement the students have for what we're doing, the more energy and excitement I will have to be there. It is not turning out the way I had hoped it would. What I ignored in all of this is the fact that my particular group of students doesn't do energy and excitement gracefully. (Not that it has to be quiet or orderly by any means, but I need for them to demonstrate some control in it.) Energy and excitement in my room looks like students leaping from the loft, students tackling each other on the carpet, students calling each other names, and, inevitably, students crying. We quickly find ourselves in a downward spiral from fun and exciting to heartbreak and frustration. Not only is it difficult for me to manage, but it is also difficult on the students. How in the world am I supposed to end the year on a positive note when my students are simply done with each other? As I reflect on my own teaching in all of this, I cringe. When I was offered this position (the answer to many, many, many prayers), I thought I was going to be this wonderfully happy and positive teacher who inspired her students to do amazingly awesome things (think Miss Honey from Matilda). I realized this morning how incredibly far from that vision I find myself now. This year, I have yelled, I have snapped and called students out in front of other students, and I have focused on the negative more than I believe is appropriate. In so many ways, I have failed my students. I had my intervention group write about their thoughts about kindergarten and how they are feeling about first grade yesterday. The handful of kiddos from my homeroom wrote about how nice they thought I was and how they hope they have me again next year. I couldn't help but feel like a giant faker (awesome word choice...). How can they possibly think those things? I think the simple answer is that kids are very forgiving. When they think about kindergarten, they remember the fun times - the times when I had a smile on my face and was doing something silly. God only knows how they're able to forget about my not-so-amazing moments, but they can. I am grateful for their resiliency and their ability to forgive, but I feel badly for taking advantage of that. I was struck by the enormous responsibility we, as teachers, are given when we are trusted with our students' education and well-being for a year. We have a big job and not a lot of time to do it in. So many factors play into the success of each body in each classroom. I'm sad that, in some ways, I was not able to create the best environment for my students to succeed. I still have 12 days left with my kiddos. I pray I am able to dig deep and find a way to continue to inspire learning in my classroom, I pray I am able to inspire my students to demonstrate the kindness I know each one of them possesses, and I pray my kiddos remember kindergarten with a smile on their faces. On Friday, my students had a little bit of time after they finished working on their cards for Mother's Day, so I encouraged them to grab their book boxes and do Read to Someone. I was floating around the room, helping students with cards and listening to some reading, when the coolest thing all week happened. From across the room, I heard two voices in unison saying, "Dooby, dooby, moo. Fa la la la baa. Whacka, whacka, quack." 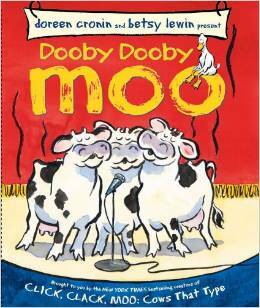 I walked over to two of my quietest boys who were sharing the book, Dooby Dooby Moo by Doreen Cronin. As I listened a little while longer, they continued to read and sing along to the story, complete with the cow's rendition of Twinkle, Twinkle that deserved a standing ovation! At that moment, all of my struggles from this year were worth it. These boys, who typically don't say more than a peep, were so into this book they didn't even notice as I grabbed my iPad and tweeted a picture of them. They were smiling from ear to ear, and I could tell they were enjoying themselves. This is the type of moment every teacher dreams about. I hyped this book up when I read it aloud to them! I absolutely love this book, and I made sure my kiddos knew that. Before reading, I talked about how it is my all-time favorite book to read aloud to kids. I shared my love for the songs in the story and for making the different farm animal noises. The kiddos were excited about this book before I even cracked the cover. I let my children choose books on their own. We talk and talk and talk about "Good Fit" books (using the Daily 5's I Pick chart), and my students are pretty darn good at choosing just right books. The most important piece of this, I believe, is interest. How in the world can you find enjoyment in reading a book you're not interested in? Personal example: I am a graduate of my college's honor program, which involved reading all kinds of literature I was not interested in. As a result, I hated most of what I read. I spent many nights frustrated at how much I didn't want to read what I was reading; I think I even threw my copy of Walt Whitman's Song of Myself against the wall. As I looked around my classroom Friday morning, not a single student was throwing books at the wall. In fact, every one of them was immersed in their books and smiling, because they were reading books they wanted to be reading. Reading is a social activity in my classroom. My student's fight over the three slots for Read to Someone I offer during each Daily 5 rotation; there are very audible groans when I tell them that session is full. They love to read to each other! They also love to talk about their books. Occasionally, we'll have book talk days, where the students can choose one of their books, come to the front of the class, and talk about why they like that book. We haven't done this in awhile (too much other "stuff" to do...), but when we do get in the habit of doing book talks, my kiddos, again, fight over the chance to do so. Our classroom library is constantly growing. There were no books in my classroom when I moved in last July. That meant the only books I had to fill my library were the books I had accumulated over my first three years of teaching. Sadly, that meant there weren't that many. Over the year, I've been using bonus points from Scholastic book orders like a crazy person. I've also made three trips to Half-Price Books, and each time I purchased close to $50 worth of books. Every time I bring new books into the classroom, I make a big deal out of it. I tell the kiddos exactly why I bought these specific books and recommend them to certain students. The last time I came back with a big haul from Half-Price Books, I struggled to get them all to fit in my library bins. As I was expressing this concern, one of my little lovelies said, "Well, Mrs. Hansen, stop buying books!" 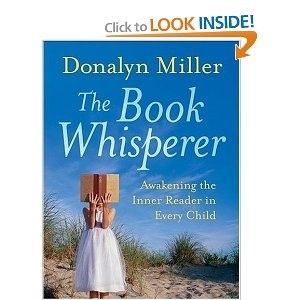 I spent some time this weekend revisiting Donalyn Miller's The Book Whisperer. Initially I read this book during my second year of teaching, and it transformed everything I believed about reading into the beliefs I hold today; I don't think this moment would have happened if I hadn't read that book two years ago. As I was reading the first few pages for a second time yesterday, I couldn't help but smile and remember my Dooby Dooby Moo boys. At the grand old age of 6, they have developed a strong love of reading, and I hope they hold on to that love for a lifetime! The last couple of weeks have been hard. For reasons I don't yet understand, God has thrown some challenges my way. I have to believe something huge and wonderful is going to come from all of this; that belief is what is keeping me going. It is just hard to be patient some days, and, unfortunately, I have had a lot of those days recently. Today, something happened that lightened the darkness even if it was just for a second. The funny thing is, I'm not completely sure what I think happened actually happened. (I'm choosing to believe it did though.) I was at the grocery store after work. Keep in mind that I got to school at 6:45(ish) this morning and didn't leave until almost 5:00; my feet hurt, I was tired, and I felt disheveled and disgusting. After filling my basket with all of the ingredients I needed to make a cake for a party tomorrow, I went to the checkout lane with the smallest line. There was actually only one person in the line, and she appeared to be about halfway through her purchase; I thought for sure this would be a fast lane (after all, I had supper to cook, a cake to bake, and a little work for tomorrow to do). Of course, this lane was not fast at all. The lady in front of me had all kinds of coupons and the checker was having a difficult time getting them all to go through. I was getting frustrated. I wanted to get home, and this was taking far longer than I intended. Briefly, I thought about going to another lane, but every other lane had at least two or three people in. I decided to stay put thinking I'd already devoted some time to the lane and I might as well make it useful; there are very few opportunities in my day to stop and just be. If I was going to have to wait, I might as well enjoy the opportunity to slow down. I probably waited in that line for ten minutes. When it was finally my turn, the checker apologized. Now, this is a checker I have seen before. Since I live down the street from this grocery store, I make frequent trips there; I've gone through his line many times. I assured him that it was okay and that I appreciated the chance to slow down. His response was what took me by surprise. In what I interpreted to be a very non-creepy way, he said, "Wow. I just can't get over how beautiful you are." It is a possibility that I heard him wrong, but I've been replaying the scenario since I got home and I don't know what else he would have said. There's also that chance that he did mean it in a creepy way, but I'm choosing to believe he was just being nice. Here's something: No one with the exception of my husband has ever called me beautiful. In that one moment, that changed. It's hard for me to even put into words how that one, short sentence made me feel. What I do know though, is it made me realize how important what we say can be. Words have great power. They can destroy someone or they can build them up. Today, my day was built up by someone's kind words. My only hope is that I did that for someone else today. As I think about my students, I realize there is so much in their lives that I don't know about. I know I have students dealing with big things: divorce/separation, siblings in hospitals miles and miles away, and illness to name a few. Those are the obvious things though. I'm certain there are things they hide and masks they wear to get through the day. My hope is that I said something to one of them today that made them forget those things and just feel good, even if it was just for a second. During the regular #kinderchat on Twitter last night, we were talking about our memories of kindergarten and school in general. So many of us remembered the good from those years. We talked about how sweet our teachers were, the nice things they did for us, and the impact they had on the teachers we are today. My hope is that I am a teacher my students remember with fondness and warmth. I will likely remember the kind checker at HyVee who randomly called me beautiful for quite some time. Hopefully, I have said something kind to my students that they will remember for quite some time too. What Happens If You Bring Preschool to Kindergarten? As I've mentioned approximately 1.5 billion times on this blog, I used to be a preschool teacher. During my second year of teaching I walked our preschool program through the state verification process. I certainly wasn't alone in this; I had support from the AEA, the other preschool teacher in our district, our principal, and our superintendent. Let me tell you though, if you ever want to learn about what a "high-quality preschool" should look like, find a way to go through this process. My classroom transformed into a student-directed, inquiry-based classroom throughout that year. I went from teacher-chosen themes to studies based on student interest. I increased the amount of time the students had to play each day, and I improved in my ability to guide their play to enhance their skills. Above all else, I learned how incredibly powerful giving students autonomy over their learning can be. This morning, I spent some time watching Dan Pink's TED talk called The Puzzle of Motivation. In it, Dan described the science that proves extrinsic motivation - what he calls "the carrots and sticks" method - doesn't work unless the tasks are mechanical and involve less thinking. He talked about how effective intrinsic motivation can be when it comes to complex, creative activities. He described the three elements of intrinsic motivation: autonomy, mastery, and purpose. Autonomy: In preschool, I gave my students a chance to be in charge of their learning. They chose what we learned about. They asked the questions about the topic. They investigated the answers to those questions. They planned and carried out celebrations to share their learning. On a much more daily basis, they had a chance to choose which interest areas they wanted to visit, which ones they would rather avoid, and how long they got to stay there. How much more autonomy can you get? Mastery: Preschool is all about practicing and practicing and practicing, whether that be in building a tower that is just perfect, writing names correctly, painting a picture to look just right, or creating the perfect play scenario in dramatic play. 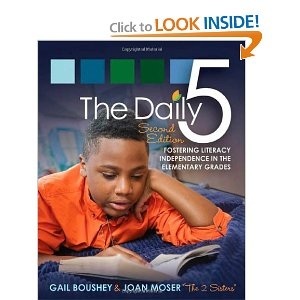 Every day, my students had a chance to gain mastery in their choice of activity. Many of my students visited the same centers over and over again for this reason. They were fully engaged as they searched for that mastery. Purpose: When the majority of the day revolved around the student's choice, they had a solid purpose for doing what they were doing. They might have been searching for the answer to one of their questions about our study or they might have simply been practicing their friendship skills. Providing my students with the opportunity to make choices and find that autonomy made their learning very purpose-driven and meaningful. My challenge for myself now is to see how I can take the power of preschool with me to the other grade levels I might teach. I think about how my classroom has transformed in the past eight(ish) months, and I can't help but smile. My goal all year has been to give the classroom back to my students. Seriously? These ideas are ridiculously awesome and creative! In offering the students a chance to have autonomy over their learning, to find mastery over their topics, and to have a real purpose for learning, we have opened doors that would have remained closed in a less intrinsically motivated classroom. We brought preschool to kindergarten and 2nd grade, and great things have happened. Who would have thought? It was beautiful here today. Although it was windy, it was about 70 degrees and sunny. The perfect spring day. My husband and I decided to take a walk after supper tonight. What started as a short walk to the park near our house turned into the three mile loop I typically run. As we were walking, it hit me how close we are to the end of the school year. That blows my mind! When I think back to August and how excited I was to be a kindergarten teacher and to be teaching in a real school district, I almost laugh at myself. I had no idea what I was getting myself into. I even though, "Hey, I've taught preschool for three years. Kindergarten will be easy." I was so, so wrong.If I had known how many hairs I would pull out and tears I would shed, I'm not sure I would have been quite as excited. Here's the thing though, when I look at it from the end perspective, I have loved every second of it. I tend to view teaching as a calling. I believe it is more than a job; it is more than just the way I get my paycheck each month. I really believe God put me here to touch the lives of children, and I hope that's what I'm doing. If there is one thing in life that brings a smile to my face every time, it's having the chance to talk about teaching and my students. I am a more patient and understanding person because I teach, and I'm so grateful to respond to that call. There is uncertainty in my future at my current school district. My position was created because of the exceptionally large group of kindergartners we have this year. At this point, it looks like I'll be traveling to first grade with this group. Unfortunately, there is a very real possibility that the group will be narrowed down into three sections (as opposed to four) starting in second grade and my position would be eliminated. That scares the dickens out of me. What will I do if I can't teach? This thought occupies my mind quite frequently, but as we were walking tonight, all I could think of was how incredibly grateful I am to have experienced this year. I took risks, which is so unheard of in my life. (Seriously. I don't even break the speed limit...) I recreated (and recreated and recreated) my entire classroom management system. I grew in my respect and understanding of young learners. I taught students to read (which, quite literally, makes me tear up to think about)! I honestly think it would be fair to say that I've learned, changed, and improved more in this single year than I did in all three years of preschool. It's so hard to think of saying good bye to my 19 lovelies. I know that I might have a few of them again next year, but the class will be different. It is sad to think everything we have created together being broken apart. I want the very best for each of my kiddos. I hope first grade is just as amazing as kindergarten for them. (I hope kindergarten was amazing for them!) Most importantly, I hope that kindergarten has impacted them in some way that helps them become fantastic citizens of our world. Gah! The heartaches of teaching! Luckily, we still have almost two months to stay together. I'm going to do my best to blissfully ignore the ticking time and enjoy every moment I have left with this amazing, challenging, loving, awesome group of children I have been blessed with!